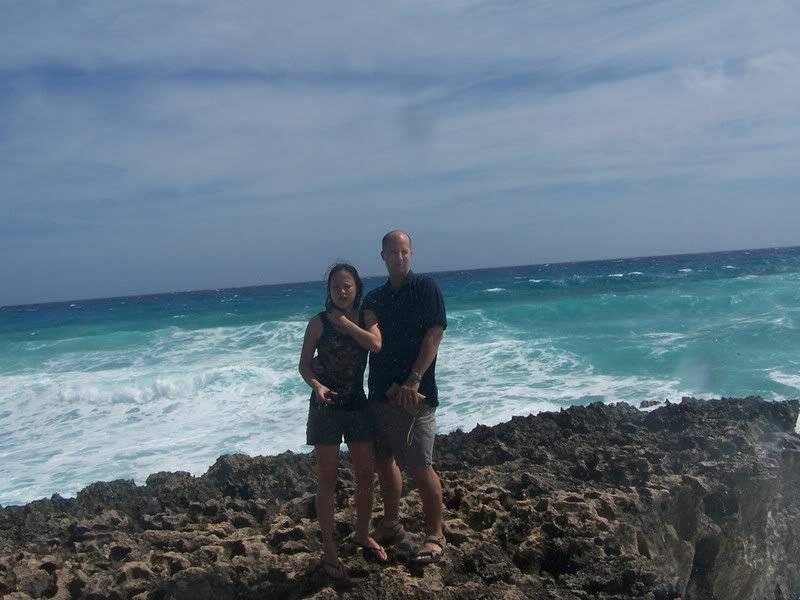 One of our ports of call was Cozumel, Mexico. We had snorkeled there before and were looking forward to doing it again. (Okay, for some odd reason that sounds kinda bad, huh?... it must be a post-midnight craziness that is taking over my brain...hehe). Since it was very very very windy, we opted to rent a jeep and drive around the island instead. 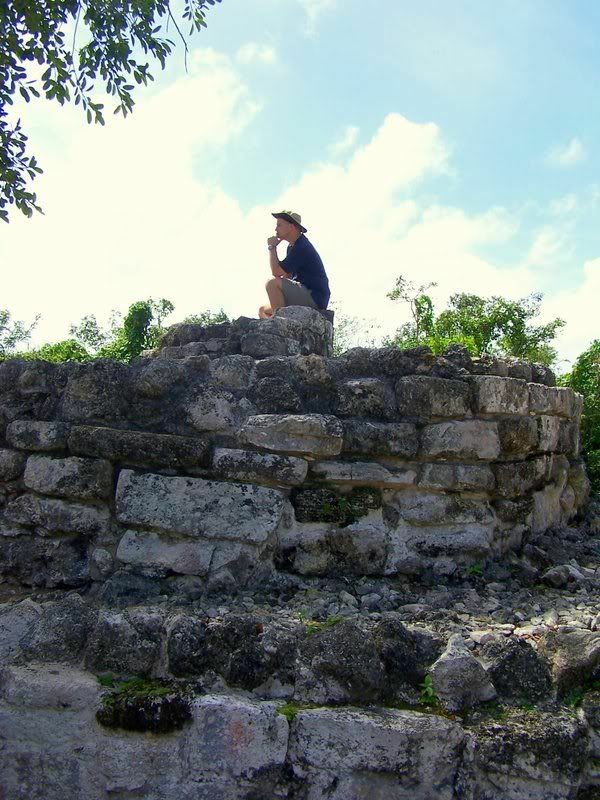 There is really not much to the island of Cozumel. If you drive it, you only need to do it once. In your entire life. But the one time that you do drive it, please remember to put on sunscreen. If not, you will have this odd sunburn on the top half of your face. Or if you are a crazy shirtless man, you will have a hilarious souvenir of a seatbelt tan-line to show the kids when you get home! Too bad I don't have a picture of that. We did make two stops on our whirlwind tour of the 28 mile wide and 10 mile long island. 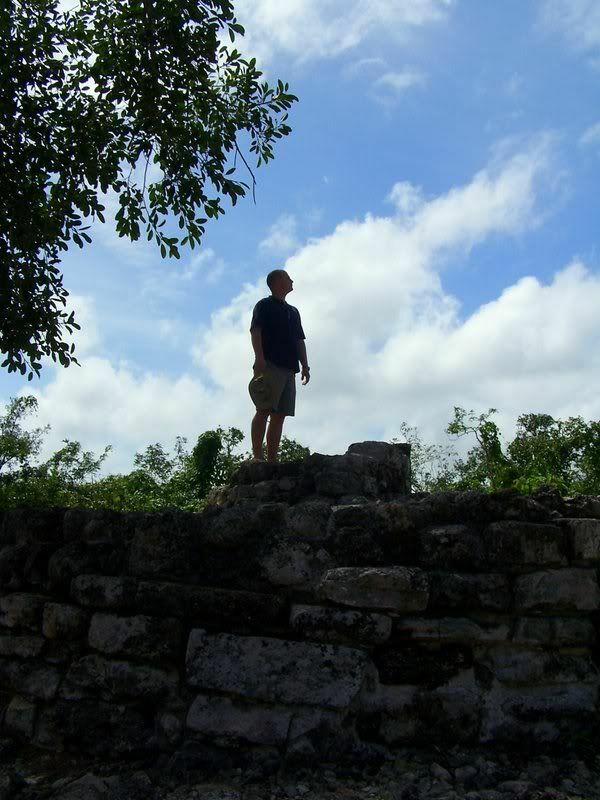 First stop, the Mayan ruins of San Gervasio. I'm such a party pooper. I really didn't like it there. 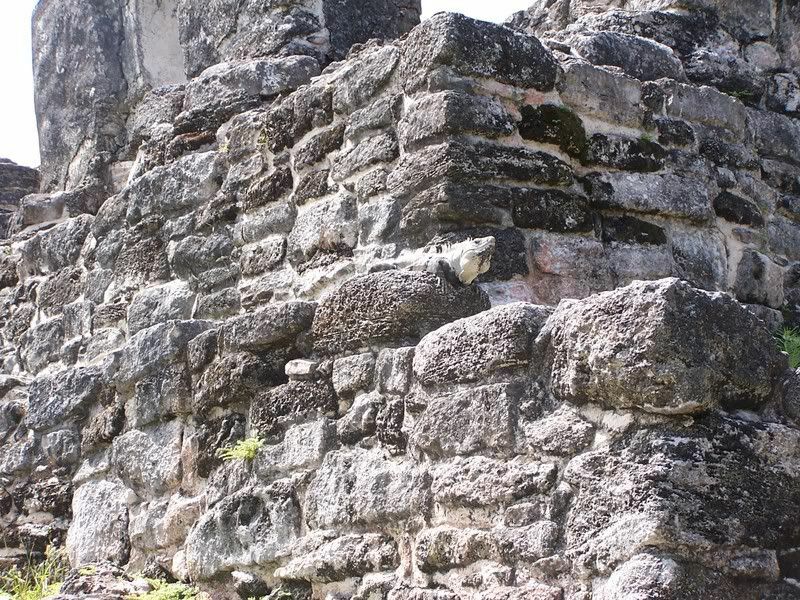 It just couldn't compete with our visits to Tulum and Chichen-Itza on our honeymoon back in the old days! But we made the best of it and explored. We saw lots of iguanas. Do you see it? I also had my husband for entertainment. He always makes me laugh. After passing many an iguana, we loaded up and kept on driving. We found this really neat rock outcropping with wicked waves. I couldn't resist this dorky picture of us. See how WINDY it is?! (Aren't you impressed with the italics in that word? Pretty clever, huh? I know you're impressed.) That's also the face you make when you're eating hair and trying to not fall to your death. Right past that edge is a 150 foot drop with the waves hammering against it. Okay, I lied. It's really only a 15 foot drop. But the waves, they really were the kind that would totally crack your skull!